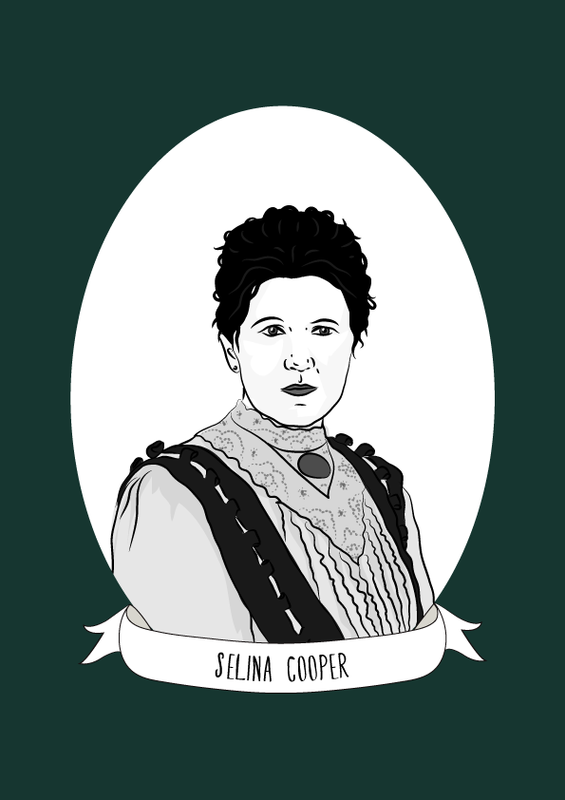 Selina Cooper was a suffragist and the first woman to represent the Independent Labour Party when elected as a Poor Law Guardian. Cooper was born in Cornwall, but moved to Barnoldswick, Lancashire as a young child to work in the textile mills of the north at the age of 12. She became active in the Cotton Worker’s Union, where she pushed for better working rights for women, especially when it came to sexual harassment in the workplace. Cooper also joined the Women’s Co-operative Guild. the North of England Society for Women’s Suffrage and the Independent Labour Party (ILP). In 1901 Cooper was put forward as the ILP candidate for the Poor Law Guardian elections. She became the first working class woman elected to the post. Cooper continued to devote herself to women’s rights, and in 1905 she formed the Nelson and District Suffrage Society. She was often asked to speak at NUWSS rallies in 1910, she was one of four women chosen to present the case of women’s suffrage to H. H. Asquith, the then Prime Minister. A year later, Cooper became an organiser for the National Union of Women’s Suffrage Societies (NUWSS). During WWI, Cooper helped to establish the first Maternity Centre in Nelson, and personally delivered 15 babies while there. In 1917, she organised a Peace Crusade procession, which due to the actions of the police, ended in a riot. The Representation of the People Act passed in 1918, Cooper continued to be involved in local politics and was elected to the town council. Until her death in 1946, Cooper worked tirelessly to campaign against fascism.